Eavesdropping is a nice way of saying ‘spying’. It comes as no surprise that the Amazon Echo speaker is listening more closely than people think. Let’s be clear: It’s not listening in, it’s eavesdropping. The word has been around for more than 300 years! It describes the act of someone secretly “listening under the eaves” to another. In May last year, the speaker recorded a conversation of a husband and wife and sent it to a friend. I wrote about a related matter a few weeks back. I’ll never be comfortable with a piece of hardware sitting in a room just there to listen to me. The Bloomberg article reports that some employees at Amazon listen to 1,000 clips of recordings per shift. Like some privatized surveillance company, laughing at all the conversations going on behind closed doors. Beyond eavesdropping, it is audio voyeurism! Aren’t you troubled by that? We were once alarmed by having too many cameras aimed at us. Now it’s listening devices. Does the convenience factor blunt people to the privacy they give up? I’ve had some fun with Alexa. The matter was settled over the Christmas break: We can do without AI in our home. I had previously written about it here. 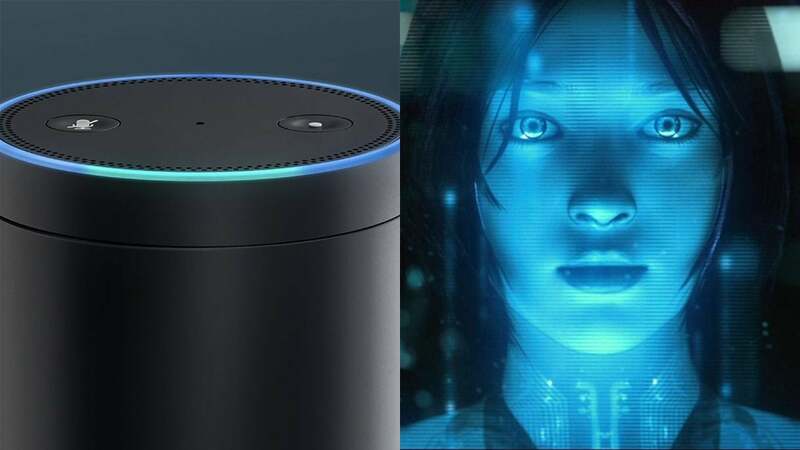 And featured voice assistants in my last tech column, “I spy with my little AI.” I reference how creepy it could get should an AI enabled device such as Alexa, Google assistant or even Siri eavesdrop on our private conversations. AI devices after all are supposed to do our bidding, not spy on us. But there’s a fine line between passively listening and spying. So when we discovered that an AirBnB we rented over the break provided an Amazon Echo speaker, it got to the point where (after a few rounds of asking Alexa random questions and finding ‘her’ quite annoying) I unplugged it and put the darn thing away. 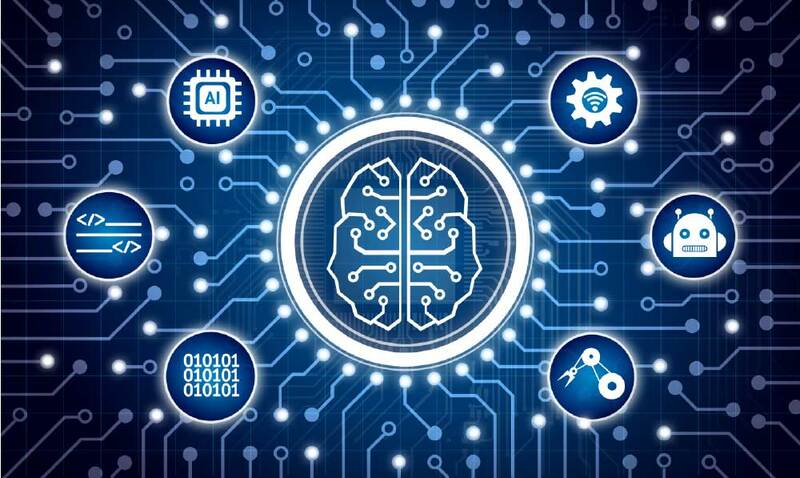 It was no surprise then to hear that at the Consumer Electronics Show (CES) in Vegas, several new breeds of AI devices were unveiled, designed to respond to human inclination to suddenly want to talk to hardware. Such as the smart refrigerator by LG that ‘talks’ to a smart oven etc. Which makes me wonder: Just at the time when we have plenty of research pointing to the correlation between being too plugged in, and being extremely socially disconnected, we have the tech sector pushing products that seem to exacerbate the issue. I don’t need a smart fridge, thank you very much – I just need a painless way to talk to an LG service rep (25 minutes on hold, seems customary) when my fridge behaves badly. And speaking of snooping devices, here’s something that is advertised as being able to monitor a home. A clothes hook with a hidden camera. Creepy? Or is it the sign of (the Internet of) things to come? What might you get if you affix an android head onto a metal and plastic life-size body? More than a bobble-head, for sure. especially if there’s a whole bunch of robotics, plus artificial intelligence under the hood. The android known as Sophia debuted at the Future Investment Initiative, an event with speakers as varied as Richard Branson, to Nicolas Sarkozy, to Maria Bartiromo. Indeed Sophia made recent headlines because Saudi Arabia granted it ‘citizenship’ – whatever that means. Let that sink in for a moment – giving civic status to a machine. Hansen Robotics, the workshop where Sophia was built has several models. 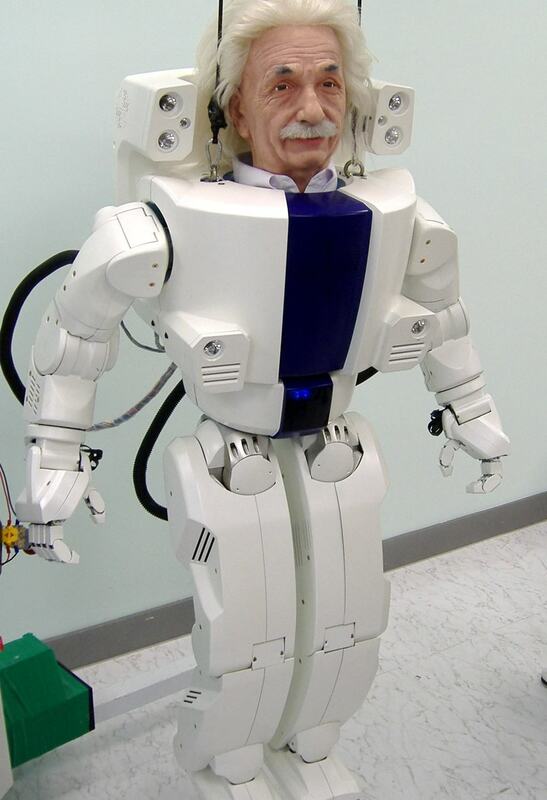 A bald-headed Han, a 17 inch tall boy robot called Zeno, and a full-sized animatronic, Albert Einstein. These bots use facial tracking, natural language processing, and their creators plan on developing Emotional Intelligence for Einstein. Robotics is a double-edged sword. I cover robotics, help train students, and often talk of being alert to where all this could be headed. Governments, labs, schools, policy-makers and ethicists should be joining the debate. (Recall Elon Musk and others sounded a warning that AI could threaten human civilization.) It shouldn’t be a conversation dominated by those in technology alone.